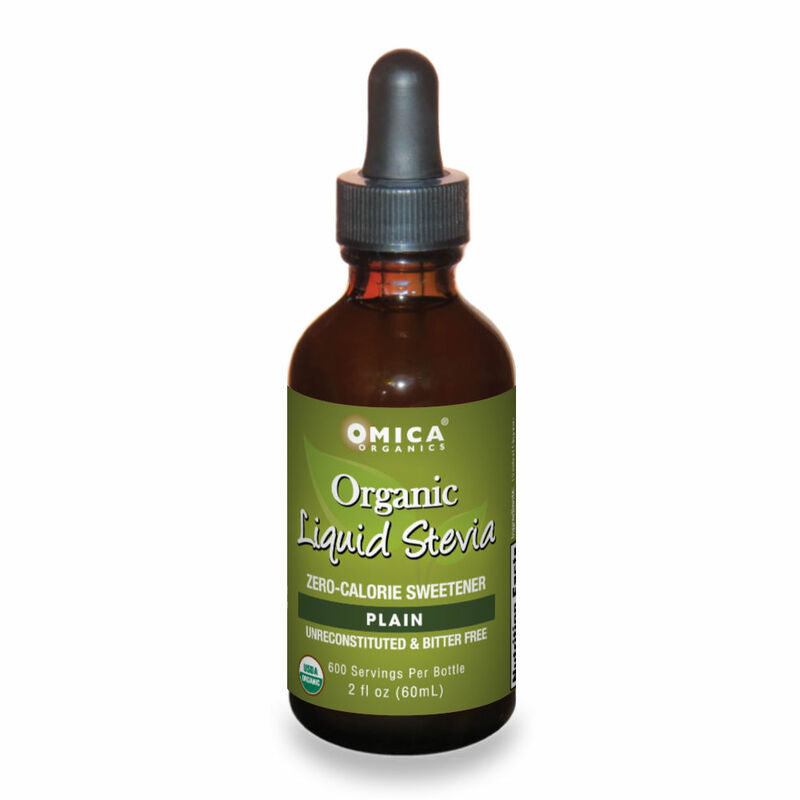 Omica Organics" Liquid Stevia™ is an Organic, Zero-Calorie sweetener that is a naturally highly-concentrated direct extract. Created using our proprietary revolutionary TruExtract™ production method, this is an un-reconstituted Stevia Extract (unlike other liquid stevia products that are reconstituted from dehydrated stevia). The result is an aromatic, dynamic sweetness without the bitterness associated with other stevia products. 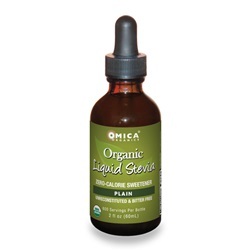 What makes Omica Organics" Liquid Stevia extracts unique? Standard methods for creating stevia liquid extracts consist of reconstituting white stevia powder into liquid, which contributes to the typical bitter aftertaste often attributed to stevia sweeteners. Omica Organics" methodology is markedly different. Our exclusive, proprietary method produces a direct liquid extract that is not reconstituted, resulting in a bold, highly-concentrated sweetener that retains the exquisite sweetness and vitality of the stevia plant. Omica Organics" extracts contain naturally-occurring high levels of Rebaudioside-A and low levels of Rebaudioside-C, making it one of the sweetest and smoothest-tasting liquid stevia extracts available in the marketplace. Generally-speaking, the higher the levels of Rebaudioside-A and the lower the levels of Rebaudioside-C, the better-tasting the stevia. Only certified organic glycerin and certified organic alcohol are used to help preserve and extend the shelf life. Omica Organics" proprietary stevia is cultivated from an extensive network of family-owned stevia farms. Self-sustaining farming methods help preserve the naturally-beneficial phytochemicals of the stevia leaf. The stevia leaves are picked by hand at the peak time of the growing season and then dried naturally with sunlight and fresh air. Because our extracts are naturally concentrated, we recommend a serving size of 2 drops (0.1 mL), compared to other liquid stevia extracts with a serving size of 5-8 drops. Add 1-2 drops to coffee, tea or any other hot or cold beverage or food. Use as a substitute for sugar, honey or other sweeteners. Shake well before using. No refrigeration required.